Using controlled nuclear fusion for a source of virtually unlimited power that is pollution-free has been a dream of physicists since Einstein’s day - but many had written the process off as science fiction. Though it is still a long way off, a new breakthrough has occurred where researchers actually saw a net gain in energy following a fusion reaction. The announcement comes from lead author Omar Hurricane from the National Ignition Facility (NIF) at Lawrence Livermore National Laboratory and was published in Nature. Nuclear fusion happens naturally in the cores of stars. 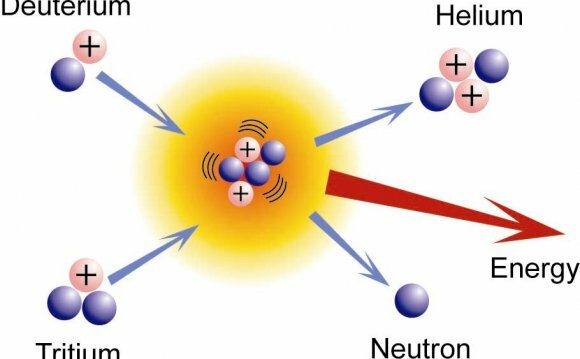 As atoms from lighter elements smash into one another, the nuclei fuse to create a heavier element and energy is released. If this happens in large enough of quantities it starts a process called ‘ignition’ which is a chain reaction of more atoms fusing and releasing more energy until there is a self-sustaining energy source. If this could be done in a controlled setting using a relatively small amount of water it would represent a limitless power supply. Not only that, but the nominal waste that is produced in the reactions is not radioactive which gives it a clear advantage over nuclear fission. A step toward nuclear fusion came within the last few months of research at NIF when their reactions actually produced more energy than it took to start it. Of course, this is still on a very small scale. The paper published in Nature reported results of 1.7 times more energy going out of the reaction than went into it, though the team announced they hit a net gain of 2.6 times the input energy. While this is great news, it is very important to note that the reported net gain is from the energy that actually made it into the reaction; the lasers produced exponentially more energy than what was used and calculated into the findings. Though physicists have crossed a very important threshold by obtaining a net energy of any kind, there is still a considerable amount of work to be done before the ultimate goal of ignition is reached. The 'pulse shaping' which is how the lasers hit the plastic pellet needs to be further refined, as the shape of the implosion is slightly irregular, not spherical as is desired for ignition. Physicists are essentially trying to manufacture a small, controlled star, so it is no wonder that this is such a long and difficult process. There is no telling how long it will take to readily achieve ignition and for power grids across the country to be hooked up to fusion reactors, though even the most optimistic estimates still think it is many decades away.